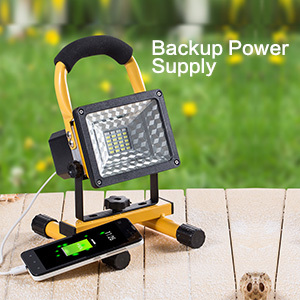 Built-in high-quality lithium battery and with 2USB port to charge the mobile devices. 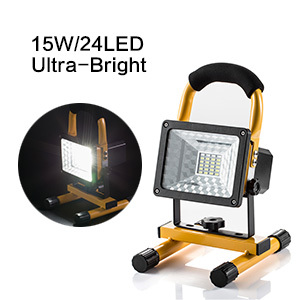 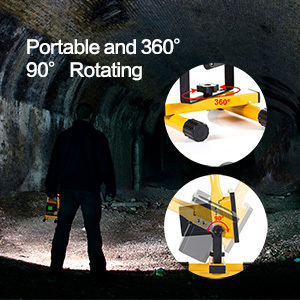 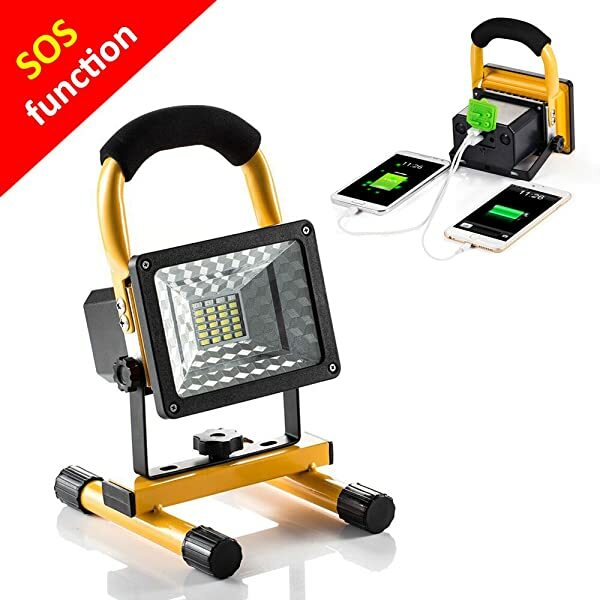 Portable and Lightweight work light, easy to carry or put onto the ground with the stand or hanging for camping, fishing, even if the back-up when it’s power cut. 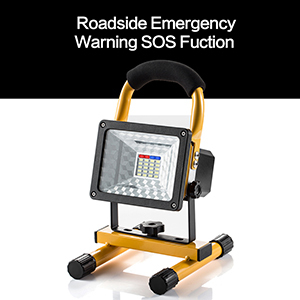 Upgrade with 4pcs flashing LED (Red and Blue), the best gear for the roadside or other emergency situations. 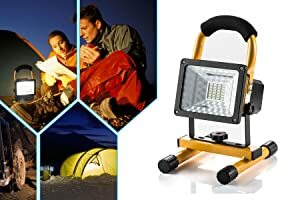 Portable and waterproof light – great for your camping and hiking trips.